Oncopeltus fasciatus (Large Milkweed Bug). 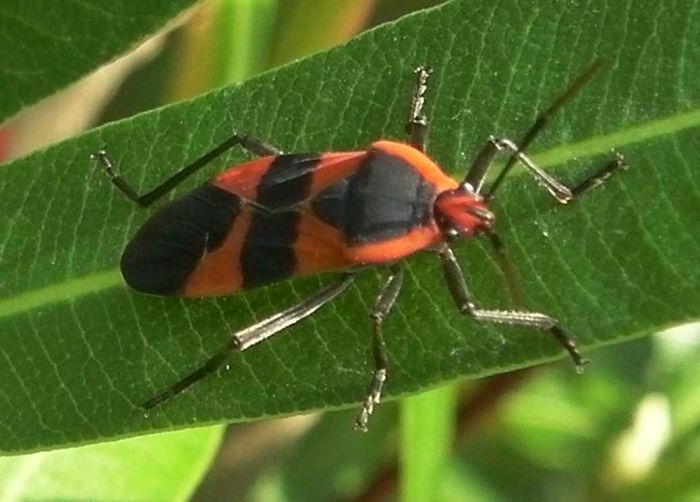 Standing on an oleander leave is a large milkweed bug (Oncopeltus fasciatus). Because it likes to feed on milkweed plants, the bug accumulates toxins which protect it from birds and other predators. They like to hang out in large groups but this one must have lost his buddies.